The Well-Trained Mind will instruct you, step by step, on how to give your child an academically rigorous, comprehensive education from preschool through high school―one that will train him or her to read, to think, to understand, to be well-rounded and curious about learning. 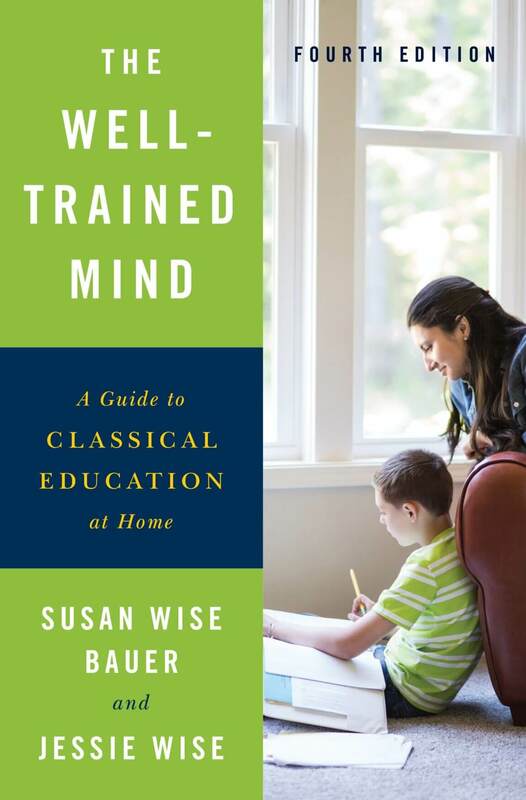 Veteran home educators Susan Wise Bauer and Jessie Wise outline the classical pattern of education called the trivium, which organizes learning around the maturing capacity of the child’s mind and comprises three stages: the elementary school “grammar stage,” when the building blocks of information are absorbed through memorization and rules; the middle school “logic stage,” in which the student begins to think more analytically; and the high-school “rhetoric stage,” where the student learns to write and speak with force and originality. Using this theory as your model, you’ll be able to instruct your child―whether full-time or as a supplement to classroom education―in all levels of reading, writing, history, geography, mathematics, science, foreign languages, rhetoric, logic, art, and music, regardless of your own aptitude in those subjects. Is your child getting lost in the system, becoming bored, losing his or her natural eagerness to learn? If so, it may be time to take charge of your child’s education―by doing it yourself. Thousands of parents and teachers have already used the detailed book lists and methods described in The Well-Trained Mind to create a truly superior education for the children in their care. This extensively revised fourth edition contains completely updated curricula and book lists, links to an entirely new set of online resources, new material on teaching children with learning challenges, cutting-edge math and sciences recommendations, answers to common questions about home education, and advice on practical matters such as standardized testing, working with your local school board, designing a high-school program, preparing transcripts, and applying to colleges. You do have control over what and how your child learns. The Well-Trained Mind will give you the tools you’ll need to teach your child with confidence and success. Hi, I wanted to read a sample of Well Trained Mind, the system tells I need to log in for that, I did, but it still doesn’t let me read the sample, asking to log in. May I please read a sample? That’s strange! We are so sorry that the sample isn’t working for you…it’s working fine when we test it. Please email [email protected] and they will send you a PDF sample. Will a paperback version be released? If so, when? There are no plans for a paperback version at this time. 5 out of 5 Great reference even if you aren't sure about classical education. This is a great book for any home schooler who needs help getting organized, scheduling classes and just getting a good plan together. After I had read up on charlotte mason education, our school days were getting so long, as I tried to squeeze everything in. We also were being strict about no more than 20-30 mins per subject that it made me uptight. Studies were no longer enjoyable. Buy scheduling a whole hour for history, I am finding that there’s time for discussion. There’s time to print pages to color, to go look things up on you tube. Same with science.. before this book we didn’t have time for any projects, experiments or crafts. This book really helped me with scheduling our time. I love all the book recommendations per grade level. Thank you for so much information packed in one book. This is a book to come back to 3 times a year.. the beginning, middle and towards the end while planning the next year. The check lists and subject tips are amazing.